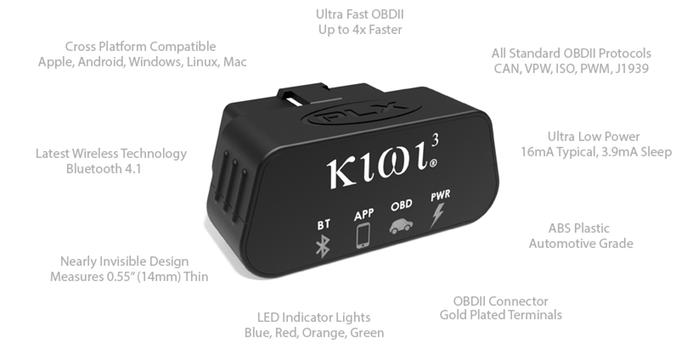 Kiwi 3 is a plug and play automotive tool that connects to the onboard diagnostic port (OBDII / CAN), retrieves information from your car's computer, and wirelessly transmits to your smart phone, tablet, smart watch, or PC. Kiwi 3 is the world's first true cross platform support compatible with iOS, Android, and Windows Mobile. Kiwi 3 allows for app developers to freely deploy without restrictions like the Apple Made for iPod (MFI) program. As a result, Kiwi 3 is a simple and straight forward making it highly developer friendly. To ensure a superior user experience we partnered with the world's most popular OBD app developers. 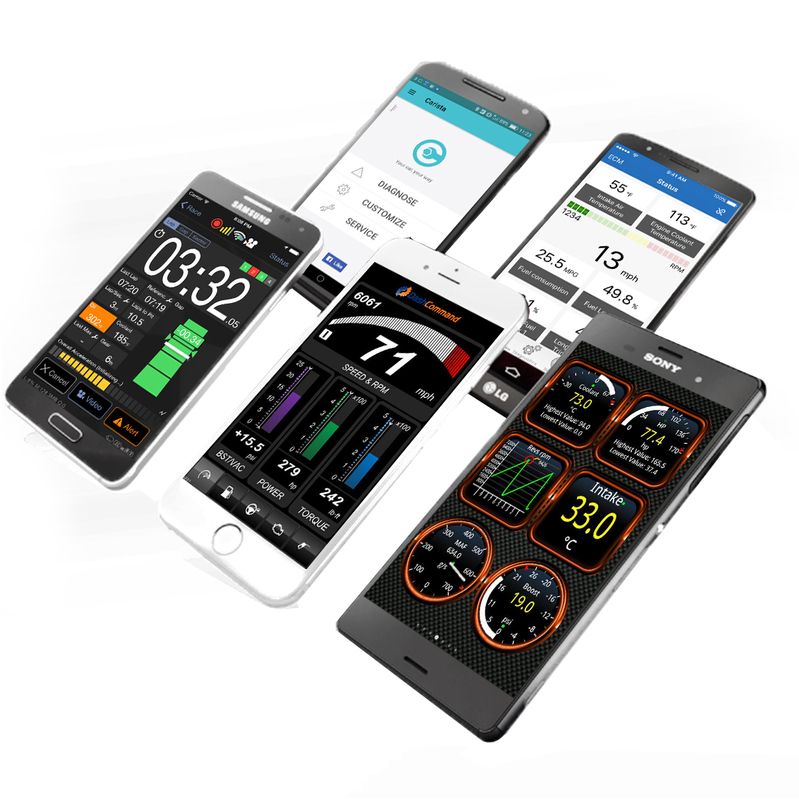 Kiwi 3 is compatible with the best apps for diagnostics, performance, data logging, track, gauges and more! 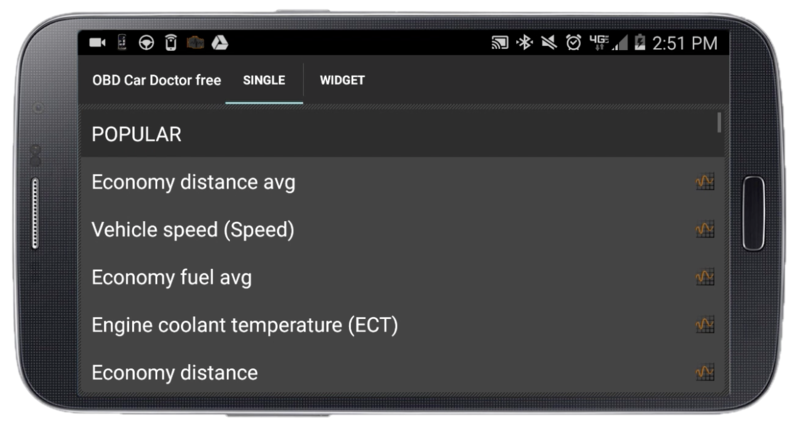 Display up to 125 parameters in 6 preset modes (dashboard, engine, efficiency, trip, gear, and custom). *All cars and light trucks built and sold in the United States after January 1, 1996 were required to be OBD II equipped. Click here to see full details regarding OBD2 compliant vehicles.